Spaghetti Circus, ACAPTA & the City of Gold Coast present the Gold Coast Circus Incubator – an injection of circus to the heart under our very own Little Big Top from 22 – 27 September. The Incubator will celebrate contemporary circus in our local area through a series of mentoring and training workshops, with mentors Darcy Grant (CIRCA), Tigerlil and Spaghetti’s own Yos Worth collaborating with local circus performers from Industrial Aerial Arts, Vulcana and of course, Spaghetti Circus. They will work with a selection of 12 -18 year olds from local Gold Coast circus schools to develop their skills and talents. 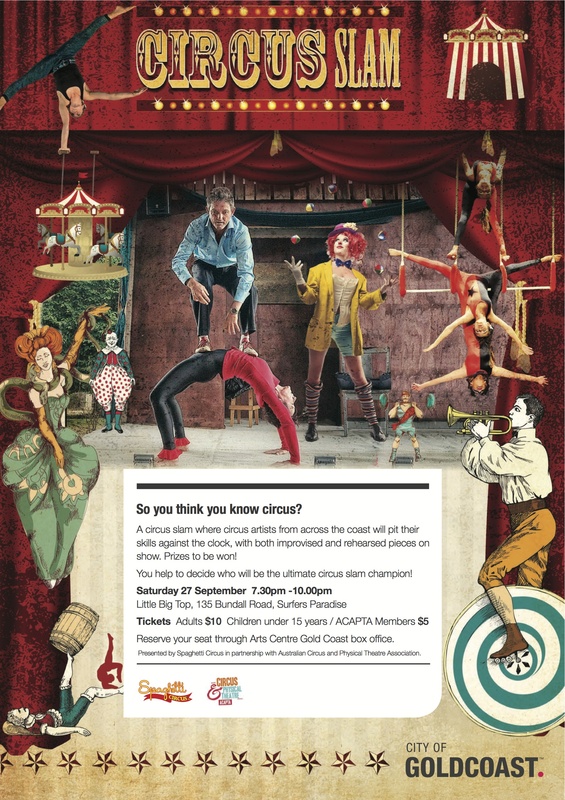 There will be several public events throughout the week, culminating in the adrenaline-filled So You Think You Know Circus: A Circus Slam where performers will pit their skills against the clock, in front of an astute panel of judges and a vocal audience in an hilarious parody of reality talent shows. 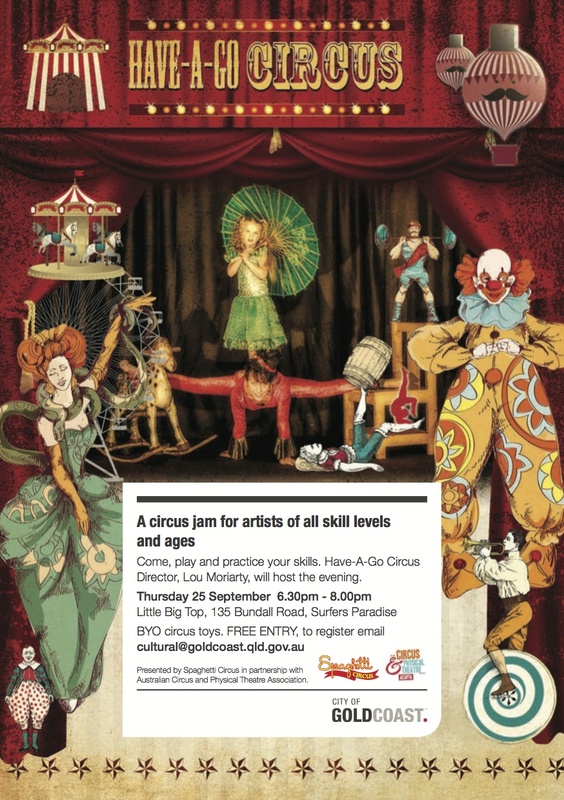 Open to any local performers who want to pit their circus skills against each other, we hope to see a few Spaghetti Circus performers come to the party. Putting the ooh and oomph into circus on the Gold Coast, A Circus Slam offers half-price admission to all Spaghetti Circus families. More info to follow, save the date now – Saturday 27 September! To view information on our previous events and performances, click here.